Manx Loaghtan is a really cool British breed that’s endangered. Often used to manicure estate lawns, it can have up to 6 horns and is always Loaghtan in color. Loaghtan means mouse brown in Manx and this one has some minor variations in the color of that mouse brown ranging from darker brown to a pale brown color – very cool. 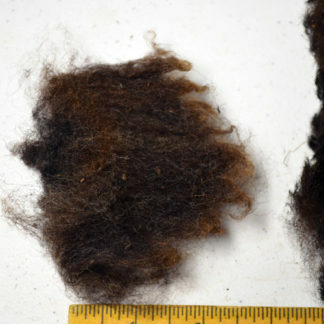 This fleece is faily clean with light VM and some dandruff from the latent roo gene that cleans right out. The locks have weathered tips and are of average length for the breed. 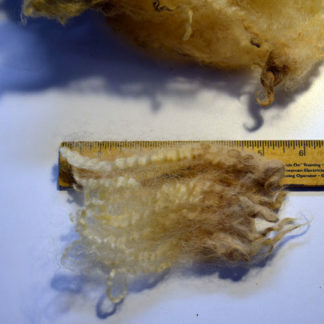 The wool is softer than you might expect. I love this wool!